The Colombian government and its old adversary, the FARC, are taking tentative steps toward peace. After a brief delay, the two sides initiated negotiations on a five-point agenda in Havana this week and quickly showed signs of progress. The FARC declared a unilateral, two-month truce – a step beyond what they granted the last time talks were held from 1999-2001 – without assurance that the Colombian government would reciprocate. President Juan Manuel Santos, already criticized for the talks, has rejected a cease-fire so far and appears reluctant to double-down on his political bet. If the truce holds, it would create a much improved environment for the talks. Most commentators have stressed that the Colombian government is in a much better position now than a decade ago because the FARC has been beaten back militarily. What has received less attention is how President Santos has put himself in a better position through important non-military reforms. He has pressed through important measures such as the ley de víctimas, compensating those who have suffered from the conflict; the creation of a more independent judiciary; and agrarian reform measures intended to improve life in the countryside. Santos is not about to adopt the FARC’s anti-capitalist line, but his policies have addressed some of the problems the guerrillas claim to be fighting to redress. 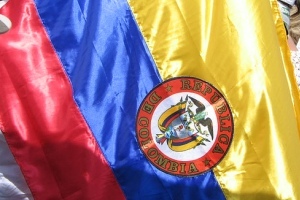 At the same time, nearly three-quarters of the Colombian people support the talks, according to a Gallup Colombia poll. Stronger rhetorical support from the Obama Administration – even as it properly remains on the sidelines of the actual talks – would enhance the peace process. Even an implicit U.S. guarantee of support for implementation of any accord would be a powerful boost to President Santos and help him face down criticism from ex-President Álvaro Uribe and his political allies. It would also be a clear signal to Latin America that Washington supports social and economic reforms to attain peace and stability, not just military programs. The Cuban government, accused of fomenting unrest in the past, has shown that it favors peace and undertaken this initiative apparently without expecting any quid pro quo from Colombia’s primary backer, the United States. Chile and Venezuela have shown support as observers. For the United States to hesitate, apparently in response to bombastic comments from the Chair of the House Foreign Affairs Committee, Rep. Ileana Ros-Lehtinen, undermines U.S. influence and leadership on an important issue with hemispheric implications.